Just A Few Things Bob Would Vote No To! Bob Mitchell, misguided primary candidate, challenging Representative Dave Wilson for the 35th District seat, is attempting to paint Rep. Wilson as some kind of tax and spend Democrat. And how in God’s green world, could anyone, with any working knowledge of legislators and their records, even conceive of the idea, they would be able to convince the voters of the 35th District, that Dave Wilson is some kind of liberal when it come to the state budget. Mr. Mitchell seems to believe, because Rep. Wilson votes for the budget as a whole, he is also responsible for the entire budget. Mr. Mitchell has admitted to me, Rep. Wilson’s single no vote would not have changed any of the budget votes. But still Mr. Mitchell insist that Rep. Wilson is voting in lockstep with the Democrats. Bob Mitchell and the Greenwood MOB, who support him, have focused their narrow definition of what it means to be a conservative, on the fact that Rep. Wilson has voted “YES” for the last three state budgets, including the bond bill and grant in aid. Mr. Mitchell is quite clear, he would cast a meaningless vote if he were to be elected. That he would throw his meaningless no vote against the Democrat wall. What a waste. What Mr. Mitchell’s lack of experience, outside the ledger books of the mortgage company he works for, causes him to miss, is that Rep. Wilson’s vote is worth more than a meaningless no vote. Rep. Wilson within the minority caucus has to use his vote strategically. As Mr. Mitchell has also admitted, Rep. Wilson’s record on gun rights and social issues are in line with his own. So how can Rep. Wilson do as much, as possible for the citizens within the 35th? It’s called give and take. Finding mutual ground when possible, finding compromise in order to reach obtainable goals. So I thought I would create a series of post to break it down a bit, to where even Bob and the MOB might understand it. Let us look to the Bond Bill and some of the things it contains. Let us start with Farmland Preservation. Again, I am not a fan of this program, but guess what, I am not the only person in Rep. Wilson’s District. (Checkbox Politics is another hallmark of the Greenwood MOB.) The 35th is heavily agricultural. We need the farms of Sussex, they are our number one industry. Through the chickens grown here, support the farmers who grow grains, along with the poultry industries which employs thousands, which creates jobs, and the need for housing and services, which creates even more jobs and demands. Agriculture is the life blood of Sussex, and the heartbeat of the 35th District. What else does the Bond Bill contain? Well for just a few; law enforcement, children’s services, the national guard, public libraries, mammography, tax ditches, Owens station, Delaware Tech and public school students and staff. Also money for the Kent County Regional Sports Complex. The Sport Complex project will create jobs and commerce, which will benefit the entire state of Delaware. But Bob would vote no to these things. Bob Would vote against the money which pays for the extra cost of Del. DOT working at night to complete projects faster and safer. Commission, State Fire School (75-02-01). This is directly from the Bond Bill, you see, Bob Mitchell would play the petulant child stomping his foot and shouting no! While voting no for support of our local Fire Companies, and doing nothing to benefit the District. Bob Mitchell calls these budget bills, the “Governor’s” budget. This is an attempt to tie Rep. Wilson to the Democrats, but the only people Rep. Wilson is tied to, are the people of the 35th. Notice The Greenwood Fire Company listed here, right smack dab in the middle of the 35th Representative District. I wonder, how Bob Mitchell’s neighbors, who are members of the Greenwood Volunteer Fire Company and its Auxiliary, would feel about him voting no for this support? And while our public schools have plenty of room for improvement, I would be concerned of the anti-public school bias, of a Board member, of a private school voting no on everything. I admit, I have not read the entire Bond Bill, I simply pulled these items out to demonstrate the good things the bill funds. I am sure there are just as many which in my opinion do harm. But that is the point, for Rep. Wilson and other Republicans to do the best they can, for those they represent, they have to come to a compromise. Some, like Mr. Mitchell, believe just voting no solves the problems. This is a bold illustration of Mr. Mitchell’s child like understanding of how legislation actually happens. If wishing made it so? If Mr. Mitchell truly thinks he can convince the voters of the 35th, Dave Wilson is a liberal, he’s going to have to do better, than this buckshot blast of an accusation. 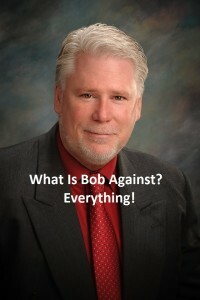 21 Comments on "Just A Few Things Bob Would Vote No To!" I never accused Mr. Wilson of being a Liberal, Frank. I’ve only stated that for the last three years, he has voted “Yes” for the Governor’s Budget, Bond, and Grant in Aid Bills. And as for a personal stand – I can tell you with certainty that I would do everything in my power to remove any Grant in Aid funding for Planned Parenthood. Abortion is the law in our country – but there is absolutely no sane reason that one dime of Delaware taxpayers monies should be unanimously given to an organization who’s president makes over $590,000 per year. And the fact that this has been part of our funding package without vocal and vigorous contempt by Republicans is unconscionable. So twist my Fiscal Conservativism in any untrue, misleading way you like Frank, I won’t back down on it. Our future economic success depends on our State government spending wisely and living within our means. To suggest anything other than that IS Liberal. Bob, you keep calling it the Governor’s budget in an attempt to tie Rep. Wilson to the Democrats. This once again shows either your total lack of knowledge or your personal agenda. The governor submits a budget in the beginning, but what comes out the other end is the result of negotiations and compromise. You fail to see the facts, blinded as you are by you desire to settle the score for Cindy Green. Frank – you’re incorrect again. You assume that all an elected official does is vote Yes or No and neglect the fact that Statesmanship and Leadership are qualities that are sorely missing at all levels of government. You decry Trump and his campaign, yet it’s the very lack of these two qualities within our Republican Party that have led to his popularity. The Democrats have really not surprised Conservatives. They did everything that they said they would do – no surprises there at all. But what has angered people is the lack of bold Leadership within OUR party to stand up to liberalism when that was the charge given to them by their voters. We fail to frame the arguments and the realities of unsustainable government spending correctly and stand and make the convincing arguments for the Truth. Instead we cower to those in charge because we have for far too long abdicated the position of Leadership to the politically correct and thinly veiled Socialists that line the halls of power in Washington and whose mandates are pushed directly down to the states. The last time I checked, it’s still our job as Republican Leaders to do just that – Lead. You rightly point out that we are the minority party and have been for some time. My contention is that too many of us have become comfortable and complacent in that position and it’s time to Elect Leaders and Statesman who will stand up to the Liberal agendas and reach out and engage that silent majority to get involved and see that the emperor is indeed naked and that there is still time to change the course of our State and our country. You can attempt to misconstrue my intentions all you want – but I challenge you to look honestly at the inevitable destination of any government that borrows uncontrollably and tell me what awaits it. It isn’t pretty. There is time to do the right things to prevent it, but that time is now and it will take more than just going along to get along – that much I promise you. And I can’t make those changes by myself – and I don’t claim to think that I can. But someone needs to be the catalyst for it, and I don’t see anyone else volunteering so I guess I will until someone else better than me stands up and says, “I’ll do it.” A sparkplug can’t move a car, but without it, the engine that can move it never starts. That’s all I can hope to do – to ignite something in our legislature far more powerful than just one guy in a downstate district “throwing away his vote”. That’s what’s been happening for far too long, and one way or the other, it needs to change. What programs should republicans cut to meet the budget besides the one that gives slices of American cheese to black women driving Cadillacs? Defense is 60 % of discretionary spending with easily seen waste and corruption everywhere. How about creating some tax incentives tor discourage “job creators” from immorally taking jobs to Chinese kids/defacto slaves? How about we raise tax rates on the 1% to what they were a few decades ago? WHat liberal agenda has been bad for the nation and not morally defensible? Congratulations on another good substantive discussion. As Chairman of the Sussex County Republican Party I would like to make a few comments regarding this discussion. First, immediately following my election as chairman I engaged in a series of discussions with Cindy Green, Sussex County Register of Wills, and 35th District Representative David Wilson. The result is that Ms Green and Rep. Wilson are no longer engaging in criticizing each other. Ms Green has pledged to remain neutral in any primary election this cycle. Second, it is my position as The Chairman of the County Republican Party to stay neutral throughout the primary process and allow well informed local Republicans to decide who will represent them in the General election. Third, it is my belief that primaries, when conducted as issue based campaigns, are good for the Party and ultimately the people of the State. In fact, Ken Simpler, the newly elected State Treasurer has credited his primary election as being helpful in getting him a jump start on the general election. He was able to see which things worked, how to make his message more concise, and which people were reliable campaign workers. Locally, every candidate who won the Republican primary went on to win the general election by wide margins. Fourth, it seems to me that this Republican primary may be similar to the Democrat primary in the 14th. The Democrats have a liberal incumbent who is being challenged from the left. At the same time our sitting conservative 35th District Representative is being challenged from the right. The best part of both primaries is that they will air issues that need to be addressed for the public. Save it guys. You trying to have a conversation with a beast. WHat liberal agenda has been bad for the nation and not morally defensible? In the inner cities, more blacks are aborted than born. This is racial genocide on a scale unimaginable in the wildest dreams of the Grand Wizard of the Ku Klux Klan. Of course, it makes sense if you think about it. After all, the founder of Planned Parenthood, Margaret Sanger, was a eugenicist who felt it was necessary to cleanse society of “inferior” people who could potentially become a burden on the state. I could cite numerous other examples, but first I’ll watch you rationalize mass murder. Bob, your argument is circular, it keeps leading back to the fact that you lack of knowledge leads you to believe that simply saying no loud and long enough will solve problems. A true statesman understands that goals are not reached simply by long floor speeches. I simply don’t think you are fit for this office. Chairman Carroll, thank you for the analyses. But I have to say, as someone who lives in the 35th, who was a member of the 35th RD Committee, have sat in small rooms with these folks, that if you think that Cindy Green is “NEUTRAL” in this primary, you have once again demonstrated your lack of knowledge, of the players on the field, let alone their histories, and alliances. Jordan Warfel, the RD Chair of the 35th is, and has always been, a devoted supporter of Cindy Green. Mr. Warfel with your blessing, purged the RD Committee, of anyone who supports Dave Wilson. If you know Bob Mitchell’s so called platform, then you know he talks a lot about Planned Parenthood. This is stock and trade of Nicole Theis, head of the https://www.facebook.com/DelawareFamilies/ , who it just so happens, was the person Jordan Warfel learned politics from. These people are militant in their views, Ms. Green may not speak publically about the primary, but if you believe she isn’t sitting in rooms talking about how to win this primary for Bob Mitchell, then you really have no grasp of Sussex Politics at all. And just for the record, there is no right of Dave Wilson. Right of Dave Wilson is in the ditch. Billy Carroll is another complete embarrassment to the GOP and should resign immediately. Wow, Frank…. You say that “there is no right of Dave Wilson” while in the same paragraph attack the Delaware Family Policy Council and accuse the people involved of being “militants”… Really?!? You are saying that the 600+ people who were at the Pastors and Leaders summit last week in Dover, including well over over 100 Pastors, several members of our State Representatives and Senators, numerous local elected officials, and hundreds of concerned Delawarens are “militant” because they hold to Conservative values and are active in the political scene?? You have now crossed over a line that exposes you for who you really are and it concerns me greatly. It also clarifies for me the driving force behind everything you have written that is so personally attacking against me. 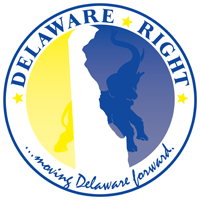 This site may be called Delaware Right, but your comments are about as far Left, and as far Wrong, as they could possibly be. But at least you cleared up any doubts that I may have had about the motivation from which your relentless personal attacks on me come from. Politics aside, I honestly encourage you to examine your heart. And I mean that sincerely. Bob, what personal attacks? Have I said your socks don’t match? No I have criticized your political campaign. You have thrust yourself in to the public forum, and now are upset that everyone doesn’t agree with you. I see you and Ronnie Yoder have the same limited vocabulary. I think this is a fair and “HONEST” assessment of DFPC. You seem to think like Mr. Yoder, that militant means guns. Learn to read, read to learn. You now have drifted into the Ayotte lane of political discord. I am sorry if the depth of my use of the word militant confuses you, I will attempt in the future to keep it simple. Like saying in my opinion you are unfit for this office. Let me spell it for you ” Neutral” or maybe you need to use spell check better yet use Microsoft Word. You have a lot of English paraphrasing, mis-spelled words, and so forth. That’s old Frank calling the kettle black! Frank let me speak for everyone else. Your unfit for your position in life. Dig a ditch! Henry, it’s funny you say that. My father always said, “it doesn’t matter what you do, but do your best, if you are a ditch digger, then be the best ditch digger you can be.” I have have dug ditches, and mucked stalls, and many other jobs you seem to minimalize. It is easy for you to sit in judgement of me, I am an open person, you on the other hand are a made up name. Oh and thank you for the constructive criticism, and the correction. Guess I have to sue you now. Frank… I have never complained about your negative attacks on me. I expect them. What I said was that you crossed the line when you negatively referred to the Delaware Family Policy Council (and by extension, those who support them) as “militant”. For you see, the negative connotation in which you said that about them was not misunderstood. It was quite clear. And it cleared up for me the personal motivation behind your relentless negative comments and untrue generalizations against me. Honestly, you’ve never heard me complain when you attack me – because your infatuation with me simply allows me the opportunity to correct your untrue rhetoric and then tell people who may not know me who I am and where I stand on the issues. And judging from all of the positive comments and encouragement that I have personally received from people I didn’t even know who have seen your diatribe and then read my response, I may have to make you my campaign manager!! Bob don’t lower your standards. Too late Henry? He’s made his bed and joined the ‘Apple Dumpling Gang’. Well your welcome Don. I’m sorry if the people you hang with don’t have a deeper grasp of the language to understand my use of militant. And where is all of this support? How come they don’t comment on your page, you only have 18 likes on your last post. And as for the DFPC, exactly what have they accomplished? Last I checked we have gay marriage in this state. That was their signature cause for some time.